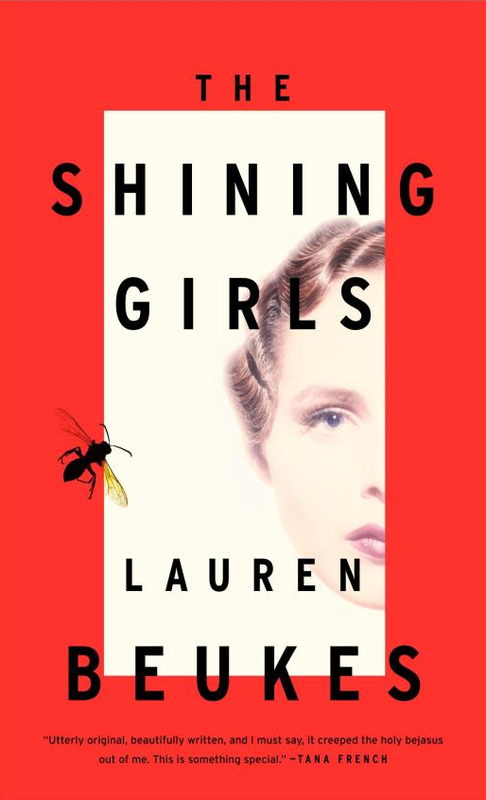 Lauren Beukes' 2013 novel "The Shining Girls" was the most recent pick for City Lit's Weird & Wonderful club. 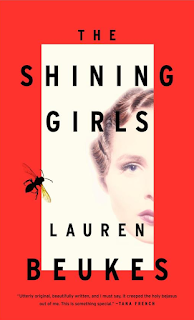 "The Shining Girls" is the story of Harper, a time-travelling serial killer, as he is hunted down by Kirby, one of his victims who survived the attack. Curiously (Beukes is South African), it's set in Chicago. We follow our murderer around in quite a few different decades; the well-researched city details were high points in the reading & discussion. 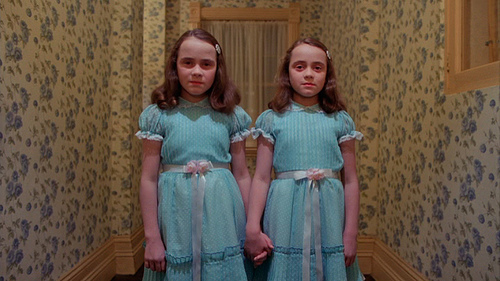 No, not those Shining girls. Harper's choice of victims over the course of six or seven decades is interesting in that it sorta kinda tracks changes in women's rights, but we were somewhat unimpressed with that as a theme, since we don't get much time with or development of the shining girls--they're just his victims. The question of why these women in particular are "shining" led us to discuss the difference between Beukes' and Harper's perspectives and what kind of social progress or hope the women represent. Additionally, some of us found the earlier victims more interesting than Kirby and wished we'd gotten more of their stories. Timeline of events from a non-time-traveller perspective (presumably linear). Timeline of events as experienced by time-traveller (linear for them). Timeline of events in the order read by the reader, which may switch around the order of events in both 1 and 2 above. Despite containing only a few (and pretty clearly-framed) flashbacks, the time-hopping narrative here nonetheless is a bit disorienting. In particular I thought it obscured, perhaps intentionally, how long Kirby is sleuthing, and gives the illusion that we've seen the entirety of Harper's murderin' career, that we're following him almost "in real time", when in fact there are clues that he did a lot more that we don't know about. There was this point in the story--when Kirby's mother tells Harper that Kirby died at the hospital--where I thought the novel was going to go in a "multiple timelines" direction, but, alas, no. It should be noted also that the time travel here, while fairly rigorous in its mechanic, is more of the magical variety, not explained technologically, and indeed there's something inexplicable or supernatural about the whole House-Harper closed loop. On which note, we brought up the "Time is a flat circle" quote from Nietzsche via "True Detective" (2014), and also talked about the house as a character, Harper as the house, or the house as the real motivator of the crimes. 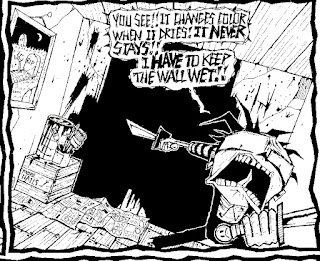 Inevitably reminded of the hotel in "The Shining" (1980), as well as Danielewski's "House of Leaves" (2000) and Vasquez's "Johnny the Homicidal Maniac" (1995-7). Overall, somewhat mixed feelings on this book, though we all found it stylistically very polished. 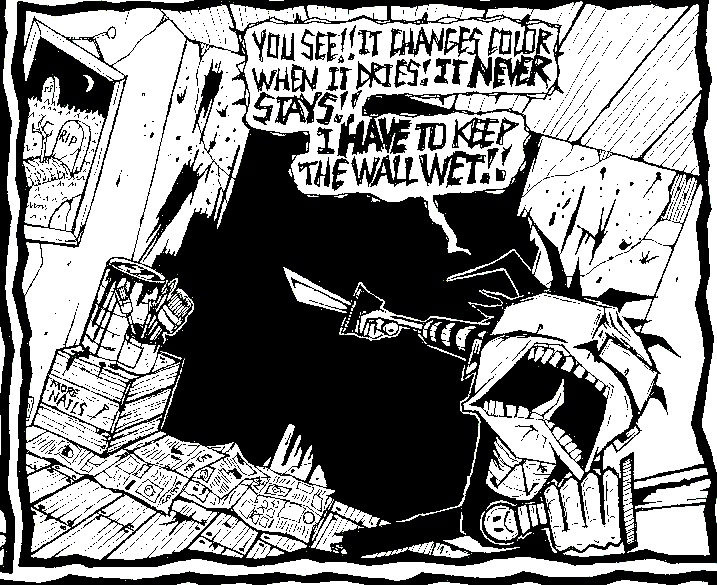 The present-tense approach made it feel very visual/filmable, and I'm a big fan of the quick short chapters (a feature it shares with another recent timey wimey favorite, and Chicago Nerd-discussed: Gibson's "The Peripheral"). There are some good moments when mysteries from earlier in the book are resolved as we learn more about Harper's travels, but we felt that there's "no Aha moment": we know from the get-go that Harper is a.) the killer and b.) a time-traveller. After that, there's no mystery, just a waiting to see how it plays out. And, again, we liked the progressive, diverse list of Shining girls, but they don't get much time to stand on their own, and they all become victims. Much debate over what makes Kirby the one who is finally empowered enough to take on Harper. Fun discussion! And we really dug the Chicago history, especially when it got into recent periods where the group had some living memory of it. We wondered "why the '90s" for Kirby, and think it might just be to have a story Before Cellphones Ruin Most Plots, which is a thing. 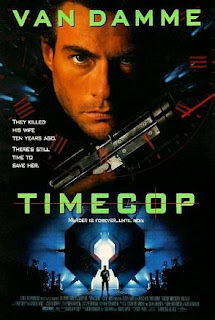 We also tossed around some of our favorite time-travel books, films, and shows, of which Hyam's "Time-Cop" (1994) is clearly the best. We also gave some plugs for book club events at the Chicago History Musuem, as well as Open Mic nights at City Lit. Weird & Wonderful's next selection is the Stugatsky's "Roadside Picnic."